The word “Anglican” simply means “of or relating to England or the English.” So an Anglican church is either a church within the Church of England or a church whose roots are connected to the Church of England. The Anglican Communion is the worldwide fellowship of churches owing their origins to the Church of England. It is the third largest church in the world and is a fellowship within the one, holy, catholic (universal) and apostolic church. Christ Church is connected to Bishop Todd Hunter and his missional, church planting diocese called Churches for the Sake of Others (C4SO), which is a part of the Anglican Church in North America (ACNA) – the Anglican province for the United States and Canada. So right at the heart of Anglican Christianity is a desire to be simultaneously rooted and relevant, ancient and modern, traditional and innovative. Nowhere is this more plainly seen than in the Book of Common Prayer (BCP). Originally written in 1549 by Thomas Cranmer, the BCP revolutionized the life and worship of the Church. Cranmer’s BCP was a brilliant innovation that brought new life and meaning to the ancient worship traditions of the church, because, for the first time, they were simplified and written in the language of the people rather than in Latin. The BCP is also thoroughly infused with Scripture references from beginning to end as Cranmer had a deep conviction in the transforming power of God’s written word. The Creeds (specifically the Apostles‘ and Nicene Creeds) as sufficient statements of Christian faith. The two sacraments ordained by Christ himself – Baptism and Holy Communion. The ministry of the historic episcopate (Greek New Testament word: episcopos = bishop, overseer). In other words, all Anglican churches are led by bishops. A sacrament involves the use of material things as a sign and pledge of God’s grace and as a means by which we receive his gifts. The two parts of a sacrament are both the outward and visible sign as well as the inward and spiritual grace. Jesus Christ, in the Gospel, appointed for his Church two sacraments. They are Baptism and Holy Communion. 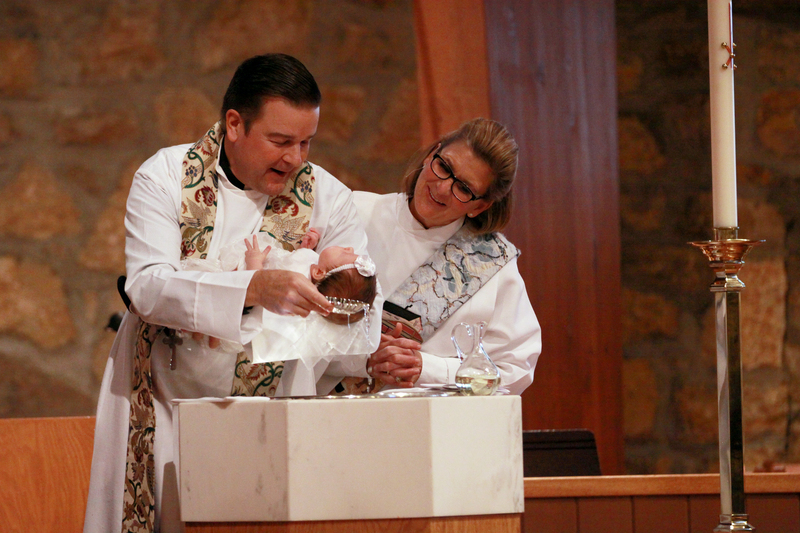 Anglican churches baptize infants, young children, and adults. It is required that persons to be baptized should turn from sin, exclusively embrace the Christian faith, and give themselves to Christ … to be his servants. Anglicans baptize infants and young children because, though they are not yet old enough to make promises to God for themselves, others (i.e. their parents and Godparents/sponsors) make promises on their behalf and commit to raise those baptized to be faithful disciples of Jesus Christ. For information about being baptized at Christ Church, please email Dean Behrens. 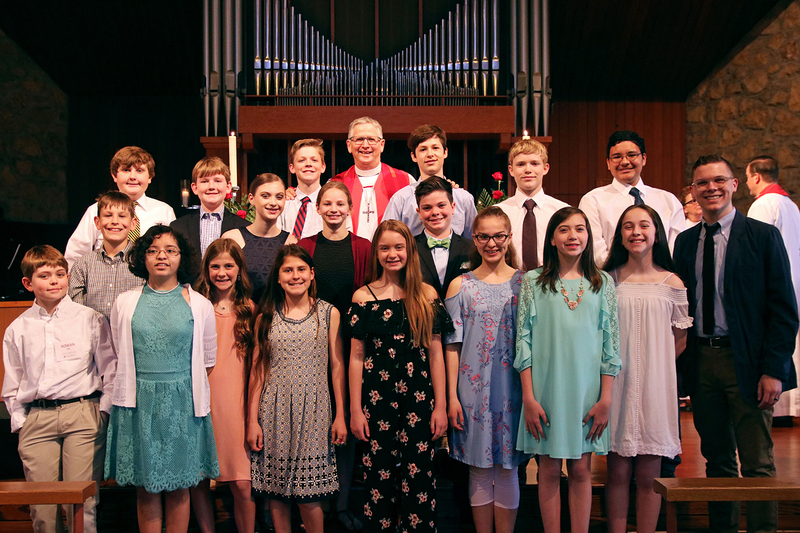 Confirmation marks the point in a person’s faith journey when they affirm the faith into which they were baptized as a child and their intention to live a life of discipleship to Jesus. This affirmation is confirmed through prayer and the laying on of hands by our bishop. The Church also asks God to give them power through the Holy Spirit to enable them to live in the way of Jesus. For more information about Confirmation at Christ Church, please email Ryder Mills. 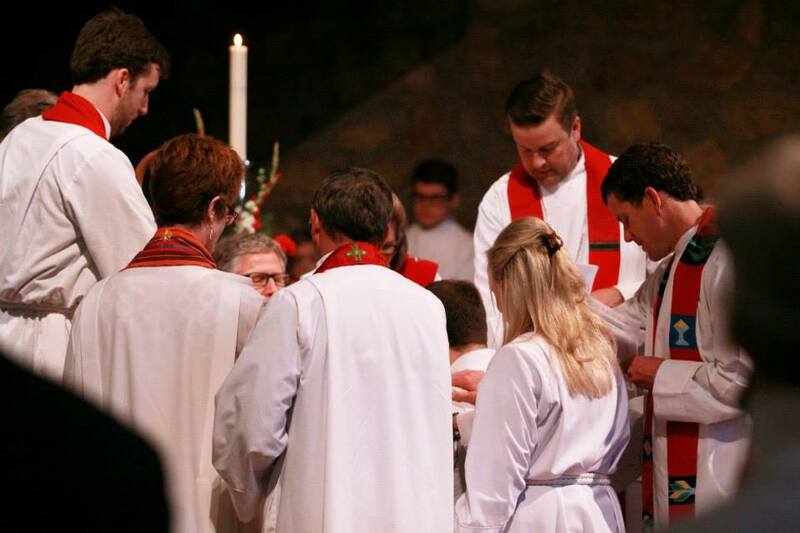 Anglicans embrace the threefold order of ordained ministry that emerged early in the life of the Church. A bishop leads in serving and caring for the people of God and works with them in the oversight of the Church. 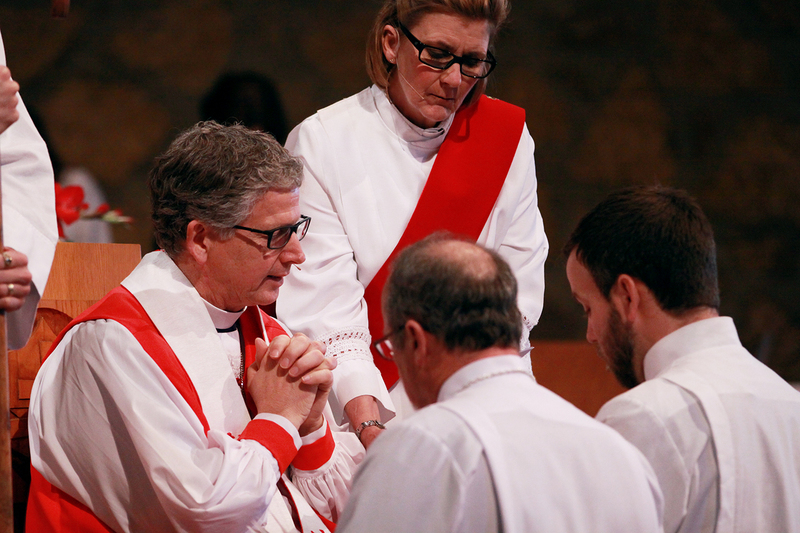 As a chief pastor, a bishop shares with fellow bishops a special responsibility to maintain and further the unity of the Church, to uphold its discipline, and to guard its faith. A bishop promotes the Church’s mission throughout the world. Our bishop is the Rt. Rev. Dr. Todd Hunter. A priest is called by God to work with the bishop and with fellow priests, as servant and shepherd among the people of God to proclaim the Word of the Lord. A priest presides at the celebration of the Holy Communion. A priest leads God’s people in prayer and worship, intercedes for them, and teaches and encourages by word and example. A deacon serves the Church of God by working with its members in caring for the poor, the needy, the sick, and all who are in trouble. A deacon assists the priest in leading the worship of the people, especially in the administration of the Holy Communion. Take a moment to learn more about our staff and clergy. Not to be confused with Christ Church’s calendar of events, the larger Church Calendar reminds us of the great events of the Gospel story from which Christian worship springs. Advent prepares us to celebrate Christ’s first coming and his second coming to judge the living and the dead. Christmas is the anniversary of our Lord’s birth. Epiphany (January 6) which, with the following Sunday, speaks of the glory of God revealed in Christ. Lent begins on Ash Wednesday and lasts 40 days, excluding Sundays. This period recalls the 40 days of our Lord’s temptation. It is a season of penitence and fasting in preparation for Easter. Holy Week opens with Palm Sunday and leads our thoughts through our Lord’s Passion from his entry into Jerusalem, through the Last Supper on Maundy Thursday, to his Crucifixion on Good Friday, and his lying in the grave on Easter Eve. Easter is the celebration of Jesus’ resurrection from the dead. This season of rejoicing extends through the 40 days after Easter. Pentecost celebrates the descent of the Holy Spirit upon Jesus’ disciples (the Church) as described in the Book of Acts, chapter 2. The season after Pentecost continues for the rest of the Church year until the beginning of Advent. The colors of the stoles and Communion vestments worn by the clergy, as well as the hangings on the altar table, are appropriate to the season of the church year.